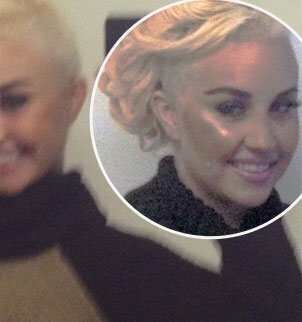 Amanda Bynes has decided to ditch the matted extensions in favor of a fashion-forward undercut after shaving half of her head. And, of course, she debuted her new look on Twitter. The former Nickelodeon star follows in the footsteps of R&B singer Cassie, rocker Ellie Goulding and model Alice Dellal, who have all sported similar hairstyles. The relatively polished look is a far cry from the mess of tangled extensions Amanda Bynes previously bared on frequent strolls through New York City. Amanda Bynes has become quite a controversial figure since her departure from acting and subsequent move to the East Coast. Most recently Amanda Bynes baffled readers of In Touch by telling the magazine that she’s “in the Mary-Kate and Ashley type of wealth” despite being worth an estimated $5 to $6 million compared to the twins’ $300 million.